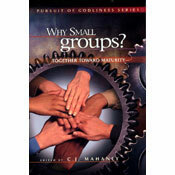 The REACH groups will kick this off on Tuesday, March 24. Why March 24? It marks 40 days prior to our revival services beginning on May 3 and going through May 5. You will have a prayer guide to work from, as well as discussion questions based upon the Sunday morning sermon (I do this to keep from adding one more “thing,” and to help streamline our teaching ministries here).